Dr. Dan’s Family Eye Care… is like “home for your eyes.” Home is where you find support, love and family care. It’s not a strip plaza, mall, or a storefront, not a chain or a franchise. 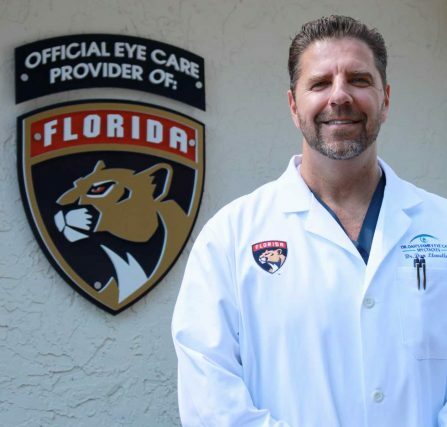 Dr. Dan’s Family Eye Care is a doctor-owned full scope eye care facility established in 1998. 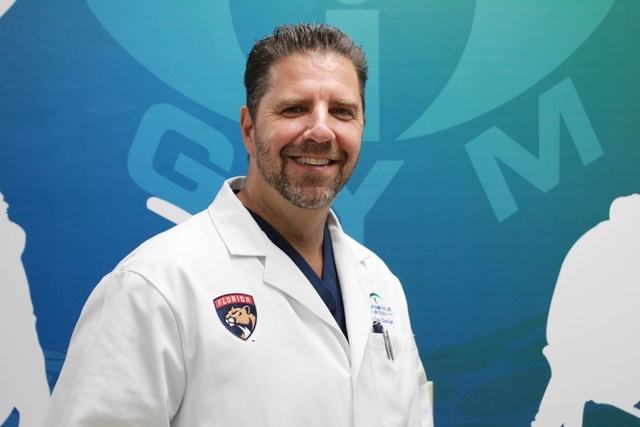 Dr. Daniel Llewellyn is best known to his patients as Dr. Dan. The optometrist has been described by existing patients as friendly, caring, thorough and innovative with great bedside manner. He serves the areas of Sunrise, Plantation, Weston, Pembroke Pines, Tamarac, Hollywood, and Greater Fort Lauderdale. Dr. Dan even has patients come to see him from as far as Jamaica and the Bahamas! 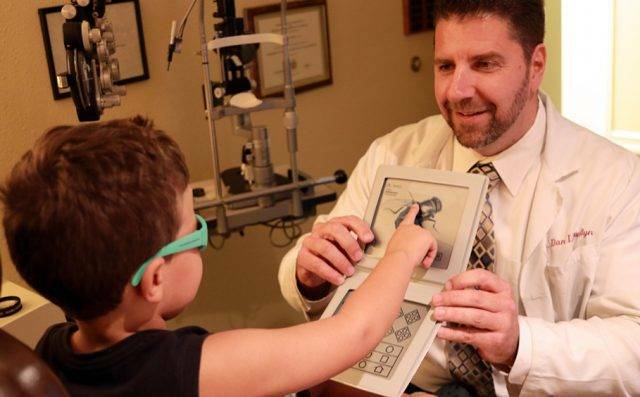 The most up-to-date, State-of-the-art, instruments, and devices are at Dr. Dan’s Family Eye Care. Doctor Dan and his amazing staff use his modern technology to painlessly examine and evaluate your eyes. New eyeglasses or contact lens are prescribed that fit your unique needs. We speak English & Spanish — Se Habla Español! Kristi Kruger’s baby eye care Special Health Watch report on Channel 10 Newsand our “Behind the Interview Scenes” video too. Learn how we can detect Vision Disorders in babies! We are dedicated to providing you with the best eye care and optical experience. Our eye doctor, Dr. Dan, and the staff are committed to improving your vision and your life through our care and services. We look forward to seeing you at your next eye exam.